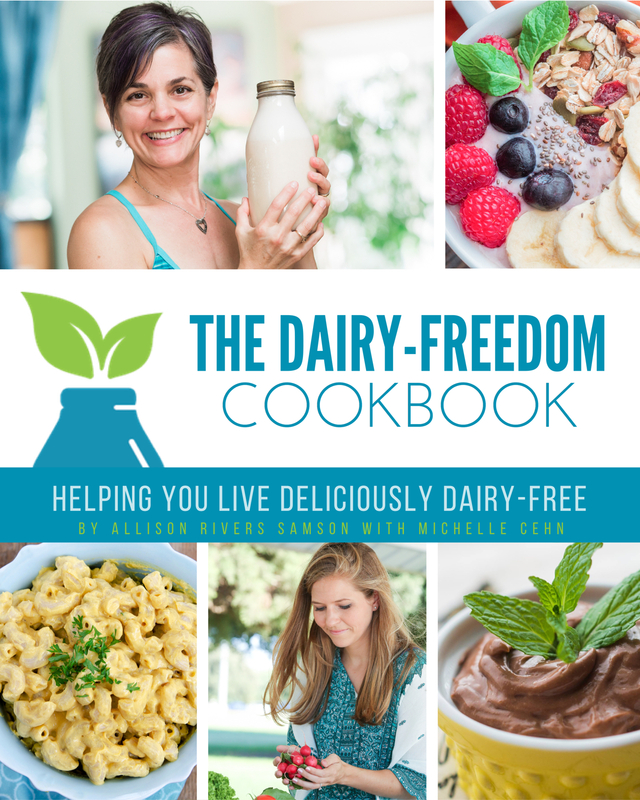 Enjoy delicious dairy-freedom with our cookbook! This special collection is filled with 30 plant-strong recipes, behind-the-scenes chef tips, and variations to further expand your dairy-free repertoire! Each recipe is made with whole-food ingredients and will please your palate, nourish your body, and satisfy your soul. Our hope is that you'll integrate these whole foods recipes into regular rotation in your own family kitchen, just as we have, and will enjoy all the health benefits that come with them! This dairy free cookbook is an e-book that includes 30 delicious recipes including homemade staples (like butter, sour cream, and cream cheese), dairy-free versions of your favorite creamy dishes (like Mac & Cheese, Alfredo, and Cream of Broccoli Soup), and a few other staple recipes for appetizers, lunch, dinner, and dessert (like Jalapeño Poppers, Two Bean Chili, Mexican Chocolate Cake, and Chocolate Mint Pudding). We’ve created this collection of recipes for both those looking to integrate healthier foods into their life and long-time dairy-freedom lovers who want to step up their home cooking game! Nowadays, you can find just about everything you could ever want dairy-free in the store. But, if you’d rather move away from packaged and processed foods, choose your own ingredients, and save a little money, this book is for you! With a little extra effort, you can make everything from butter to cheese yourself! Your body will thank you. Dairy products contribute to numerous health ailments that can take a toll on our enjoyment of life. Think: acne, eczema, digestive issues, asthma, congestion, unhealthy weight, and more. Reducing—or better yet completely eliminating—dairy from your diet is an easy way to feel healthier and more energized and can even protect you from chronic disease down the road. Plus, going dairy-free has the added benefits of being kinder to animals and more sustainable for our planet! Available as a digital PDF download (not a print book) The Dairy-Freedom Cookbook is delivered instantly so you can roll up your sleeves and get into the fun. ...and much more. We'll see you inside! We've created this cookbook to empower you to whip up 30 delicious dairy-free recipes—made from plants! From creamy mac 'n' cheese to homemade butter, these recipes will make you quickly forget why you ever used cholesterol-laden cow's milk in your home cooking.